Many clients interested in ETFs are concerned that they will get a raw deal on the trading floor. They worry about being overcharged on the buy side or having to sell at a discount. Recent news about a premium spike in the ETFMG Alternative Harvest ETF (MJ-US), the so-called marijuana ETF, has amplified this concern. Are they mad to advocate the removal of a tool that, at face value, allows first-order evaluation of the fairness of bids and offers? Hardly. 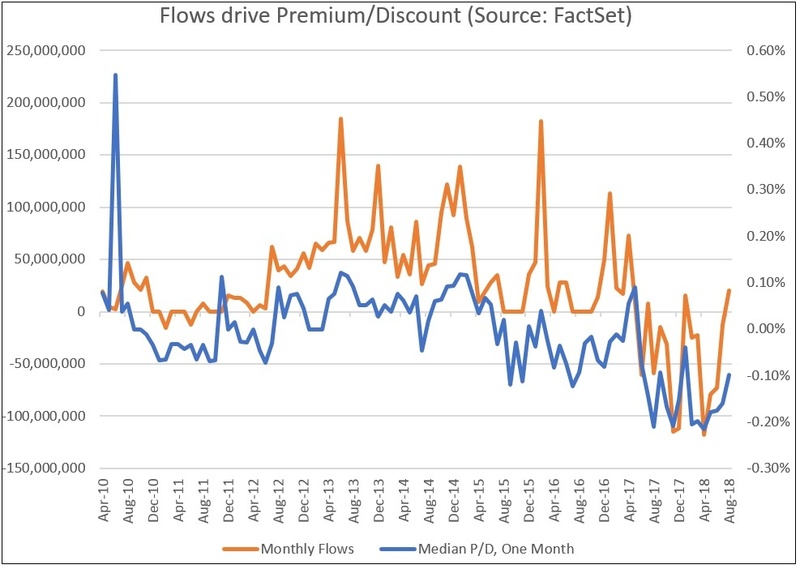 They’re simply acknowledging that significant premiums and discounts are rare, and that comparisons of trade reports to contemporaneous iNAV and end-of-day premium/discount results often exaggerate the gap between fair portfolio value and the ETF’s market price. The SEC and industry participants are advocating to remove a metric that often creates confusion and misrepresents trading conditions. The ETF arbitrage mechanism is strong and functional, because it incentivizes ETF market makers to keep ETF prices close to instantaneous portfolio values. When the arbitrage mechanism breaks down (as it may have with MJ-US), the event is newsworthy. It’s worth taking the time to understand each piece of this conversation. I will address each in turn, in a four-part series. In part one, I focus on the ETF arbitrage mechanism and the power of the profit motive and competition that jointly keep ETF prices in line with portfolio values – and what happens when it breaks down. The second installment will delve into the pitfalls of measuring premiums and discounts. Part three will extend the discussion to show how ETF issuers face a trade-off in aligning their portfolio value calculations, choosing between minimizing expressions of tracking error or premium/discounts. The capstone to the series will measure the effects of these trade-offs and suggest some solutions for improving measurements of pricing fairness and portfolio efficiency. The majority of ETFs trade very close to their instantaneous portfolio value. This happens not by luck or mandate, but because of the twin incentives of arbitrage profits and competition. ETF arbitrage works by allowing market makers to trade ETF shares against the portfolio securities. When a pricing disparity appears, for example when the ETF shares are offered more cheaply than the portfolio, arbitrageurs will buy the ETF shares and sell short portfolio securities, thus pushing ETF share prices up and portfolio prices down. The arbitrage can be completed—and profits realized—because the market makers are able to exchange portfolio securities for ETF shares, at NAV. The competition piece is simple. Multiple market makers vie with each other to capture the arbitrage process, by competing for order flow. To get into the game, market makers must post lower offers or higher bids. Spreads narrow, often approaching the level of market-making firms’ internal costs. There is ample evidence that the ETF arbitrage mechanism keeps prices in line with NAVs. For the ETFs that meet the basic liquidity threshold of $250,000 traded/day (excluding bond funds), which includes 82% of all US-domiciled ETFs by AUM, median trailing 12-month daily premiums/discounts are 0.02%, and the mode (the most frequent result) is 0.00%. 68% of these liquid ETFs tend to close the trading day within 0.10% of their fair value. QQQ is an example of an ETF trading in lockstep with its fair value. 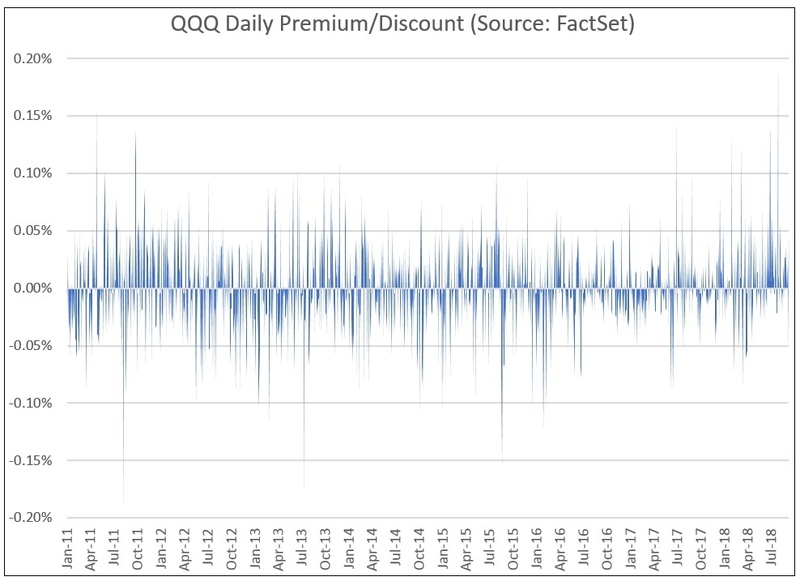 Since the beginning of 2011, QQQ has closed at a premium or discount over 0.10% on only 1.3% of trading days; the other 98.7% of the time, QQQ’s closing price is within 10 basis points of its NAV. QQQ’s average end-of-day premium of 0.0005% is indistinguishable from zero. While the chart above shows only end-of-day premium/discounts, there’s no reason to believe that mid-day trades get poor execution. In fact, the market open and close are notorious for shenanigans, so if the close isn’t distorted, it’s a pretty fair assumption that the rest of the trading day isn’t either. Customers can essentially trade QQQ at NAV at any time. Few ETFs are as liquid as QQQ, but low volumes don’t necessarily create premiums or discounts. ETF market makers are highly competitive and will step in to trade portfolio securities against ETF shares once a customer places an order, sometimes for as little as a one penny differential. The Pacer Military Times Best Employers ETF (VETS-US) is a perfect example. On most days, VETS doesn’t trade at all. Yet it is offered at penny-wide spreads because its portfolio of U.S.-listed equities is simple to arbitrage. Market makers have no trouble pricing – or shorting – a portfolio full of Amazon.com, Booz Allen Hamilton, and Union Pacific Corp.
We can see this by looking at pricing on days when VETS never trades (or when all trades are less than 100 shares), when the closing “price” is actually the mid-point between closing bid and offer. VETS’ closing mid-point has remained equal to end-of-day NAV on average, with a range of no more than 0.04%. Putting together spreads and closing market mid-points, we can see that VETS trades at portfolio value, when it trades at all. ETF market makers will compete, but not to the point of unprofitability. They wind up passing along trading costs to clients. Most of the time, these costs are minimal, but occasionally this is not the case. That’s when dislocations between trading prices and portfolio values appear. ETRACS Alerian MLP Infrastructure Index ETN (MLPI-US) is a good case in point. From MLPI’s launch in April 2010, flows were almost entirely one-way. 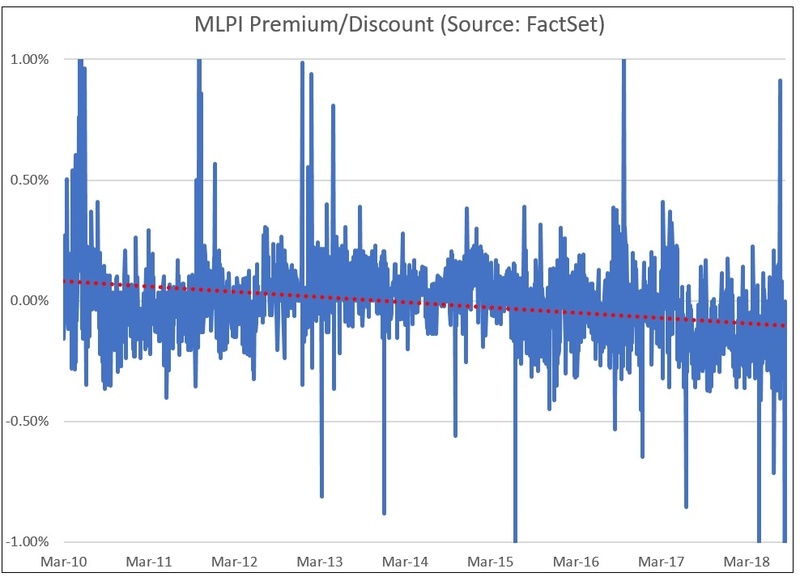 Market makers were creating shares, but hardly ever redeeming them, so MLPI traded at a tiny premium. However, in June 2017, the situation reversed. Outflows became the rule and inflows the exception. Premia followed the creations, and then discounts followed the redemptions. As the issuer of MLPI, UBS charges a redemption fee of 0.125% of the fund’s NAV but does not charge a creation fee. As a result, MLPI’s closing price hovers within a few basis points of closing NAV when funds are flowing in, or when there is no net inflow. However, there is an average 0.14% discount when market makers are hit with redemption fees, as illustrated below. When the creation/redemption process is strained or broken, the ability to execute a trade close to the portfolio’s true value becomes compromised, and real premiums or discounts can appear. This happened a decade ago in the United States Natural Gas Fund (UNG). UNG holds the simplest of portfolios; next-to-expire futures on natural gas prices. 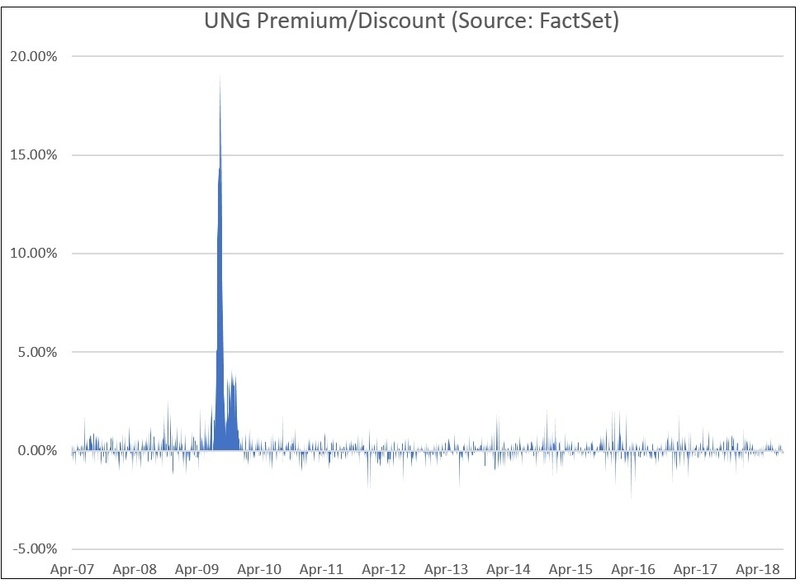 UNG’s median daily premium/discount is a mere 0.04% because its arbitrage mechanism works perfectly. In 2009, UNG’s rapid asset growth put it on a collision course with the fund’s position limits in the futures markets, which necessitated a halt in creations. While UNG’s portfolio managers scrambled to revise its prospectus and supplement its portfolio with natural gas-tracking swaps, market demand continued unabated. Because of the limited supply of shares, UNG’s market price spiked a premium, topping out at 19%. When UNG was able to resume creations, prices converged back to NAV. ETF premiums jump when creations or redemptions are impaired. 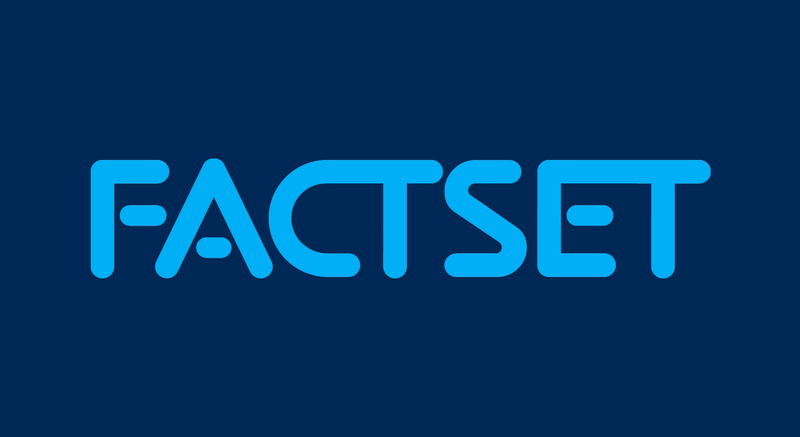 When issuer UBS halted creations of its ETRACS Monthly Pay 2X Leveraged Mortgage REIT ETN (MORL-US) on September 6, premia followed immediately. Although these premia have subsided from their initial highs, they’re still not back to normal levels. While these instances of price dislocation are rare, they are concerning and very real. Investors require tools that allow them to monitor impairments to the creation/redemption process, because these impairments create significant costs for ETF buyers and sellers. The premium spikes we’ve seen are fully attributable to breakdowns in the creation/redemption process Disturbing as these distorted prices are, they nevertheless confirm the power of the ETF arbitrage mechanism and competition among market makers. 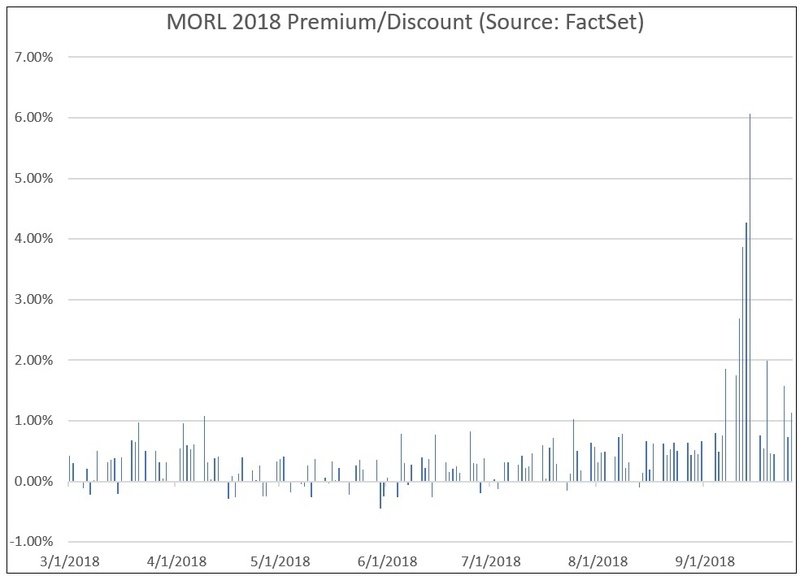 We will need to keep this in mind when we turn next to the case of ETFs where the arbitrage mechanism remains robust, but end-of-day premium/discount statistics show significant spikes on a daily basis.